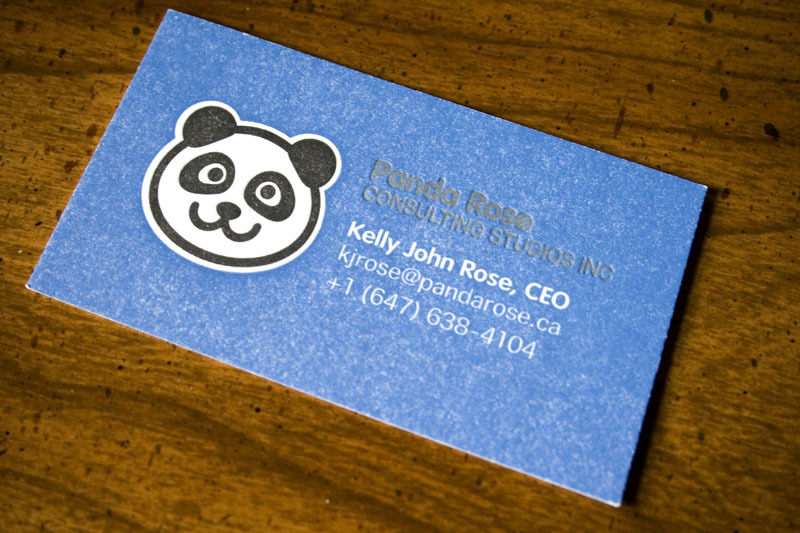 We like to challenge ourselves here, so we took on this job to print business cards for Panda Rose, a consulting firm. This design was FOUR colours, double-sided. We printed a flood of blue with white knocked-out text, silver ink over the blue and black for the panda head. 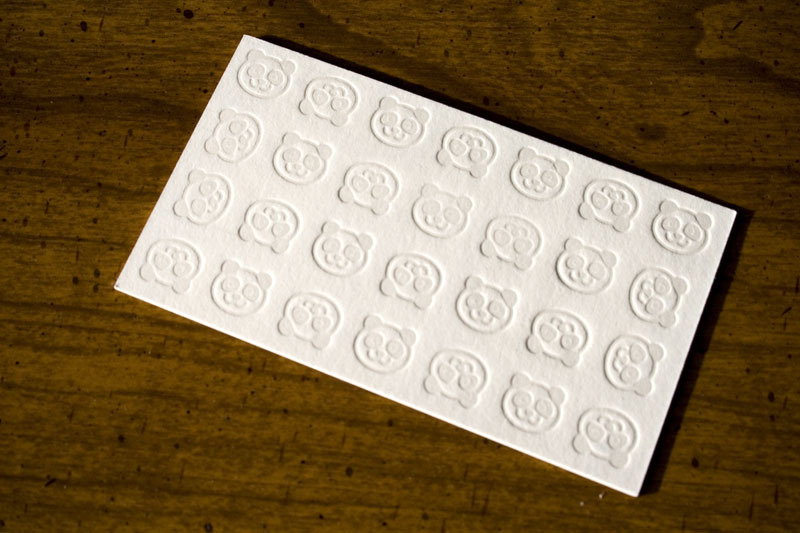 On the flip side, the panda logos are printed in transparent white. 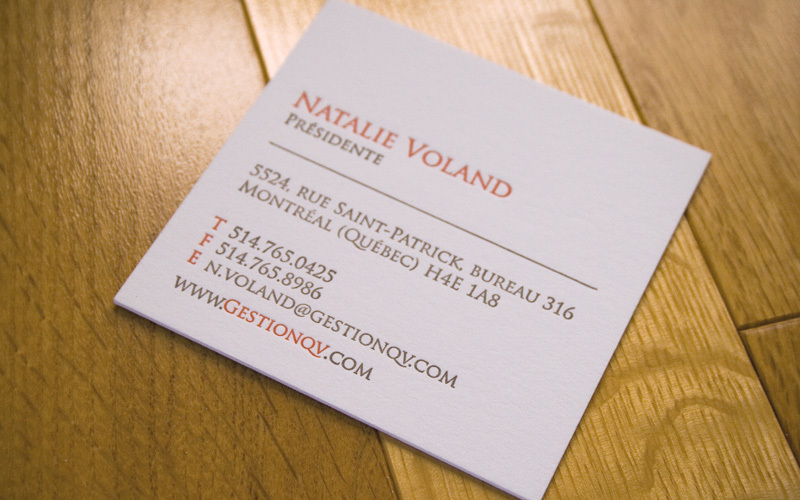 Printed on heavyweight 600 gsm Crane Lettra, in fluorescent white. 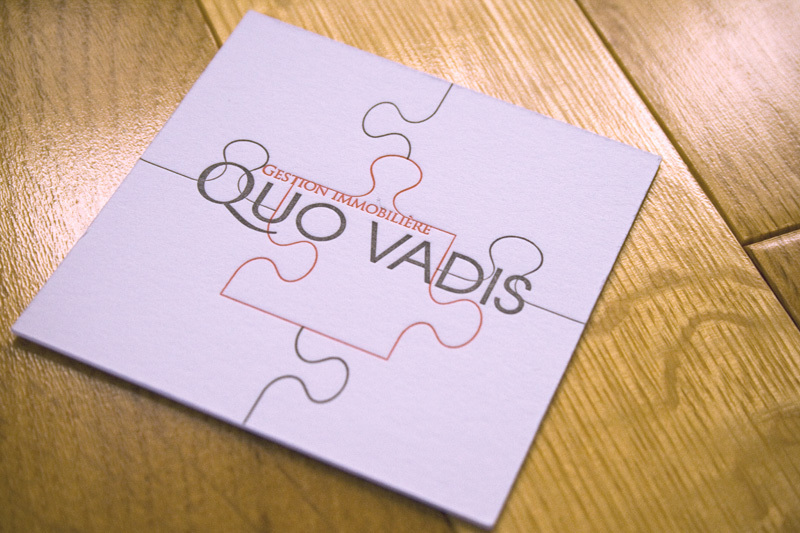 We always print on the 600 gsm stock for double-sided jobs. *Side note: We receive lots of requests for jobs with a flood of colour and white knocked-out text. 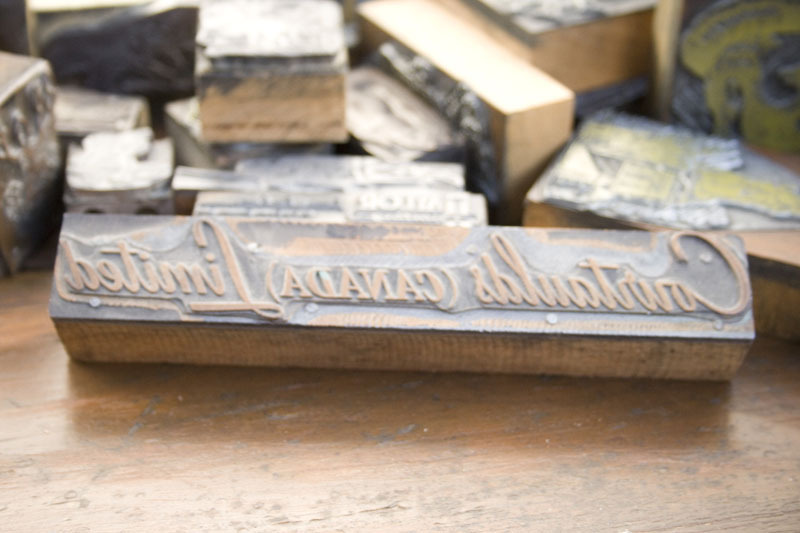 Letterpress is not well suited for printing solid blocks of colour, so we typically only print these jobs if the size is small enough that our platen press can suitably cover the whole surface of the paper evenly, and if the client understands that the paper will “show through” the colour. 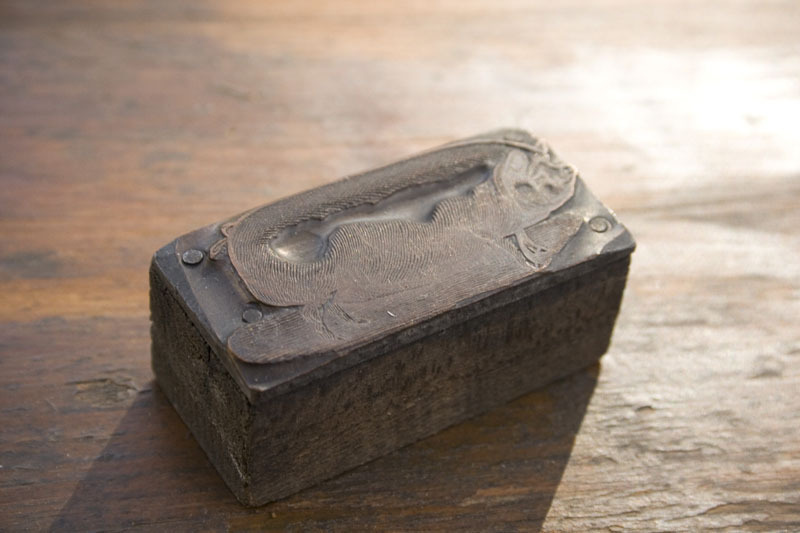 As you can see with the Panda Rose card, the blue flood has a graininess to it that is very different from other forms of printing and unique to letterpress. Today’s Cuts & Caps features a handsome pig etched into a metal plate. You can just make out his curly little tail and snout, and even more details would be visible if we inked this up and printed it. We might just do that if we can find a few more farm animals in our collection. Check back every Tuesday for more Cuts & Caps, and farm animals too. 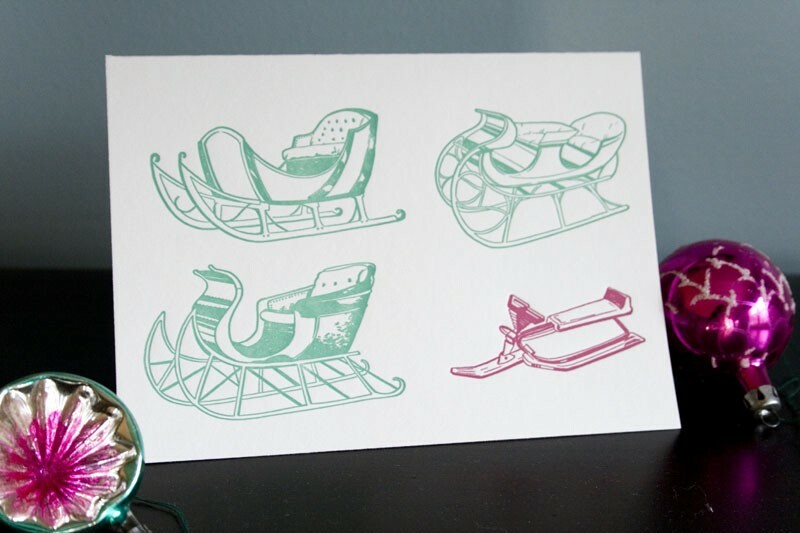 Hot off the press are this year’s letterpress holiday cards! 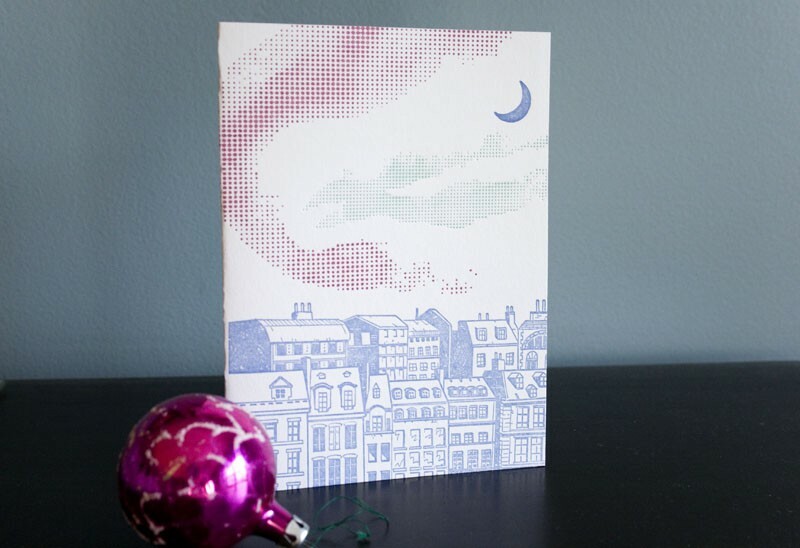 We have four new illustrated cards this year available individually or in 6-packs. Each card is 4.5″ x 6.25″, they are blank on the inside and come with colorful matching envelopes. 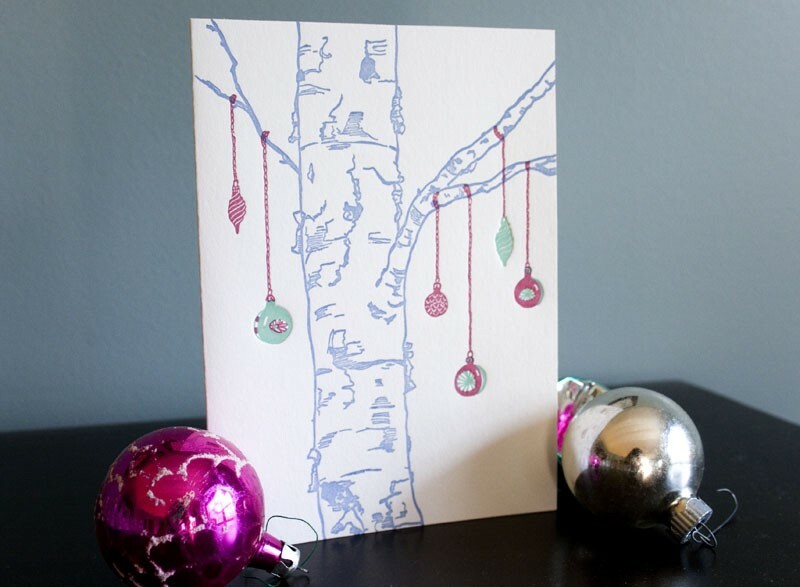 Why not buy a handmade card this Christmas for your friends and family. Each card is printed with our own artwork, fed through the press once for each color and again to score and fold the cards. 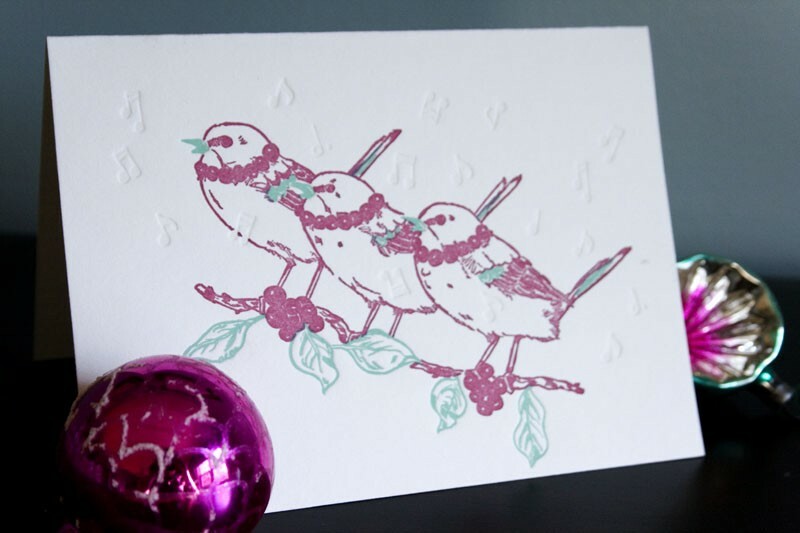 With four new cards to choose from (and two from last Christmas) you can get all your Christmas card shopping done at Papillon Press! Visit our Etsy shop to buy yours today!